I couldn’t decide whether to place these images in the Photography section or Photorealism section. 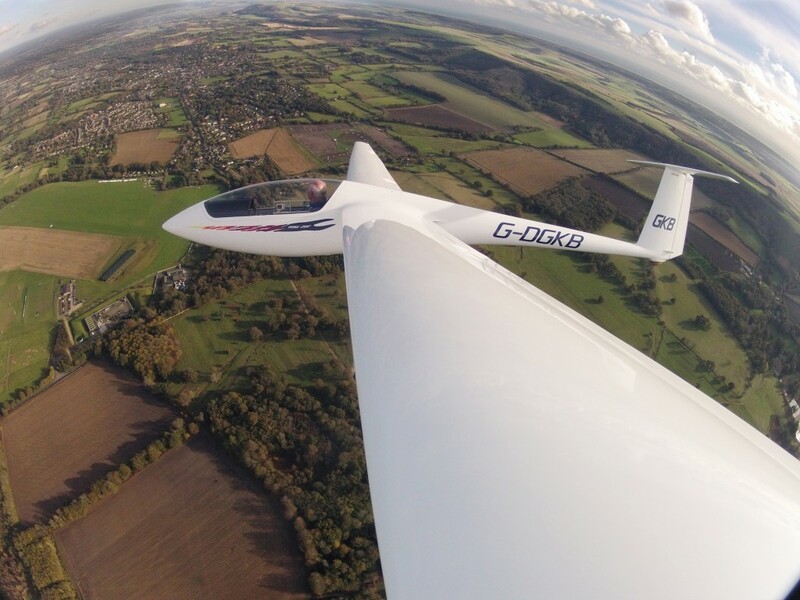 The top image is of myself flying my ASW20F glider over The South Downs in the South of England. 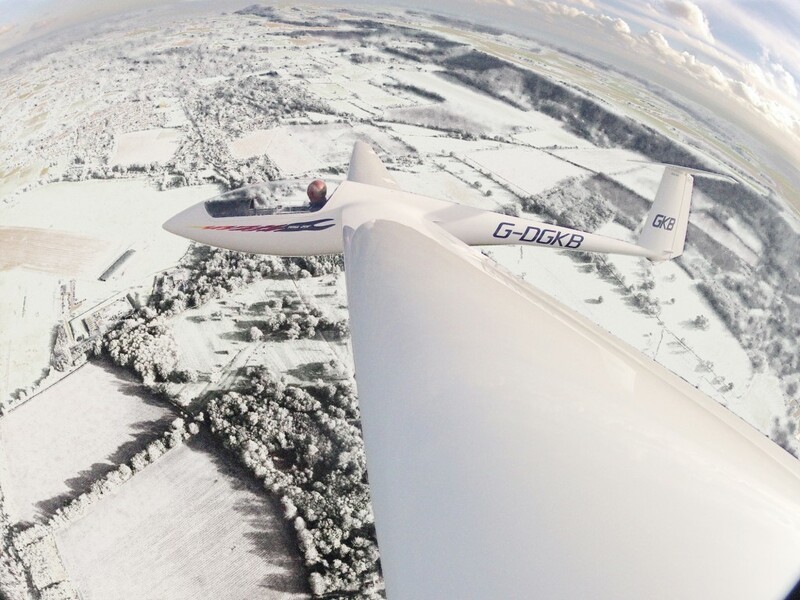 The photograph was taken with a GoPro camera mounted part way out on the wing using a dual-cup suction mount. The GoPro is one of the modern ‘Helmet Cameras’ and is a remarkable little device that can be controlled wirelessly using a smart phone. The lens covers an extremely wide angle, hence the distorted horizon. The photograph was taken in late September and I thought that it would make a nice Christmas card … but when does one get snow in the South of England in September?